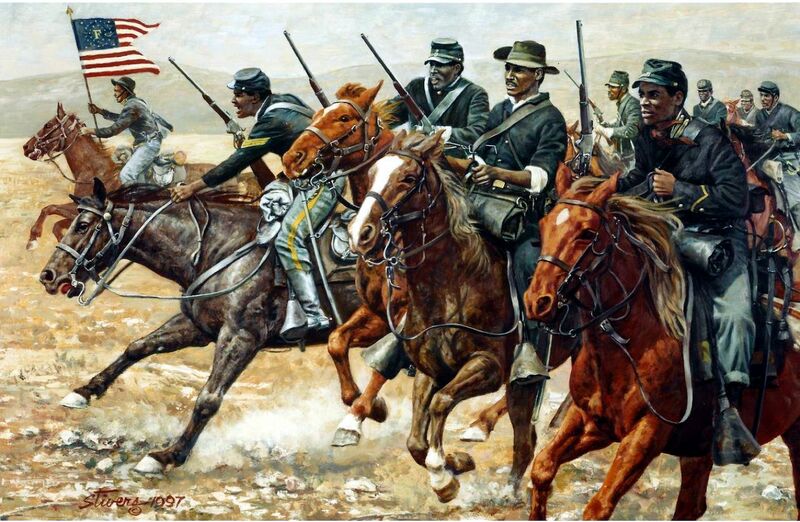 “Nearly sixteen months after the end of the Civil War … authorized the formation of the two regiments of cavalry composed of “colored” men. 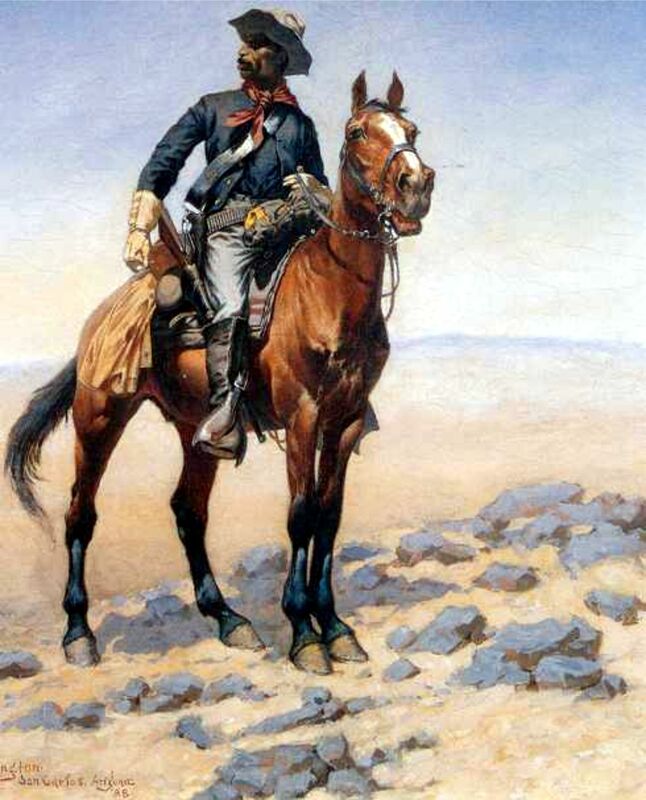 When not engaged in combat with Native Americans, both regiments built forts and roads, installed telegraph lines, located water holes, escorted wagon trains and cattle drives, rode “shotgun” on stagecoach and mail runs and protected settlers from renegade Indians, outlaws, and Mexican revolutionaries. 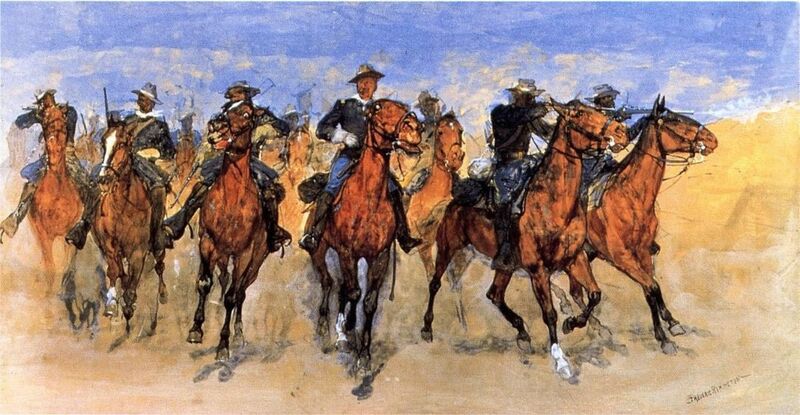 Elements of both regiments fought in Cuba during the War with Spain and participated in the famous charge on San Juan Hill. 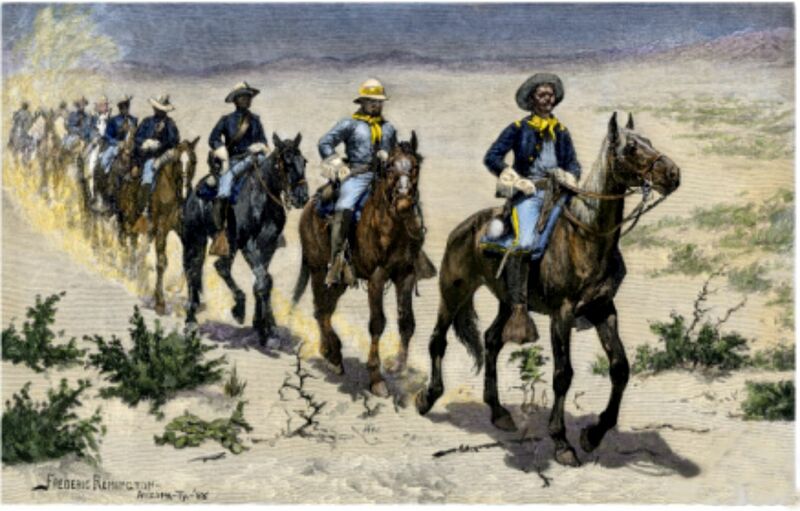 Troopers of the 10th Cavalry Regiments rode with General John J. Pershing during the punitive Expedition in Mexico in search of the outlaw Pancho Villa. 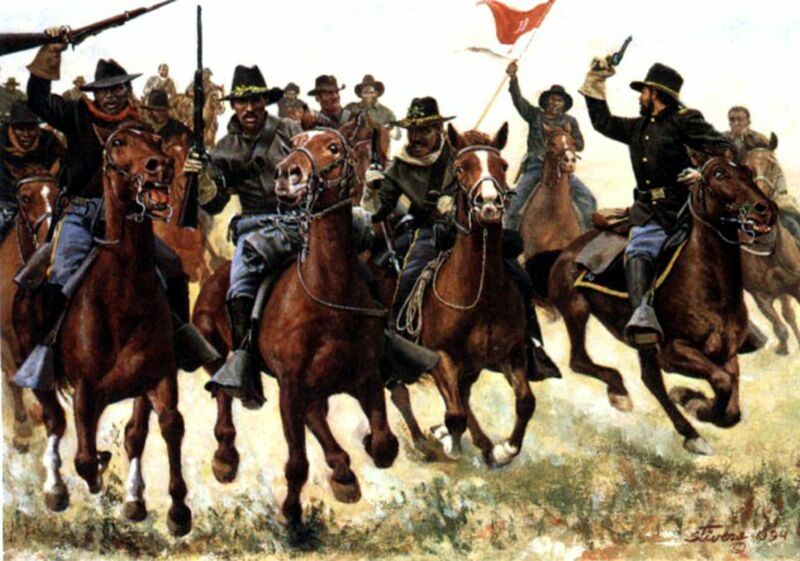 I thought it was going to be difficult to find much on the Buffalo Soldiers. I was gunned down fast. There is so much: photos. books, statues, movies, songs, paintings, websites, blogs, etc … that I couldn’t possibly include it all in one post. 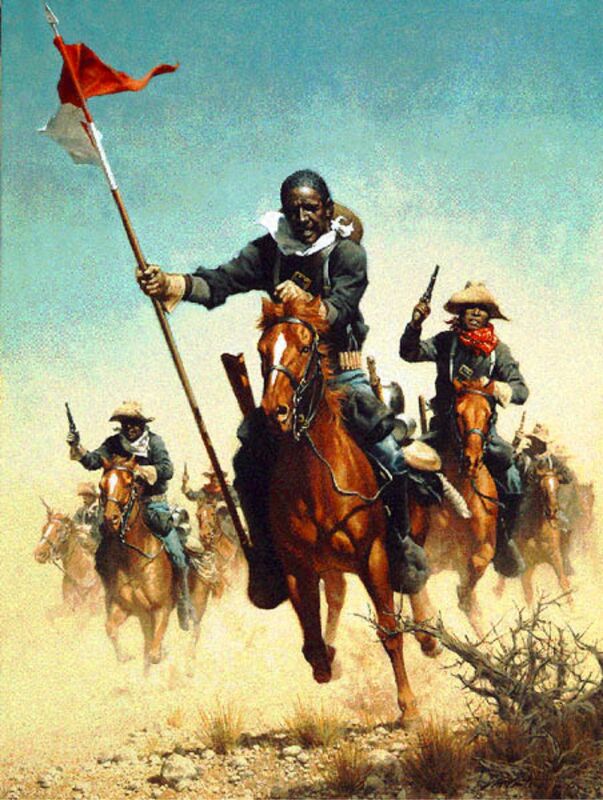 And though it is stated that the Buffalo Soldier was once a neglected part of American history, the current homage and heritage of the Buffalo Soldiers is substantial and intact. 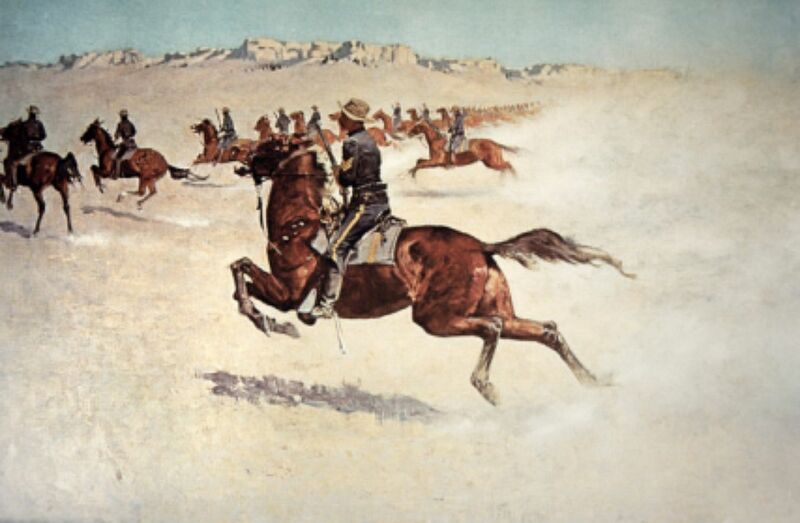 Below are a few of the many images of the Buffalo Soldiers by famous great Western artist Frederick Remington. 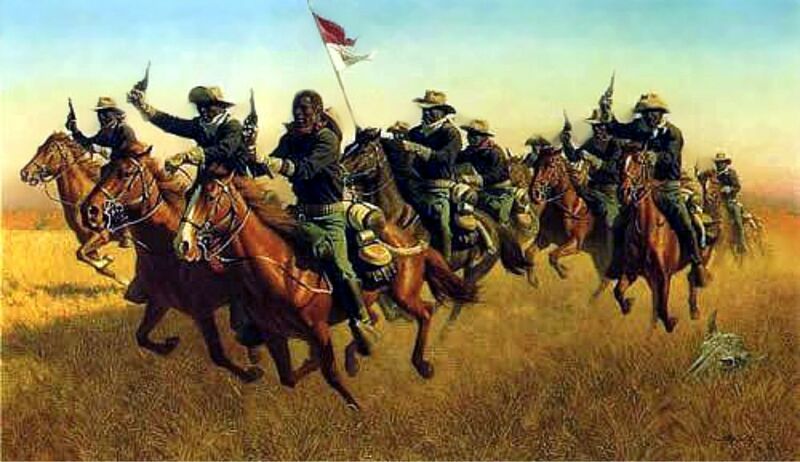 Buffalo Soldiers – Painting By Don Stivers – Troop A Tenth Cavalry led by Captain Nicholas A. Nolan at the Battle of Rattlesnake Springs,Texas August 6, 1880. There are only a few movies, but there is much written. Many books, paintings. 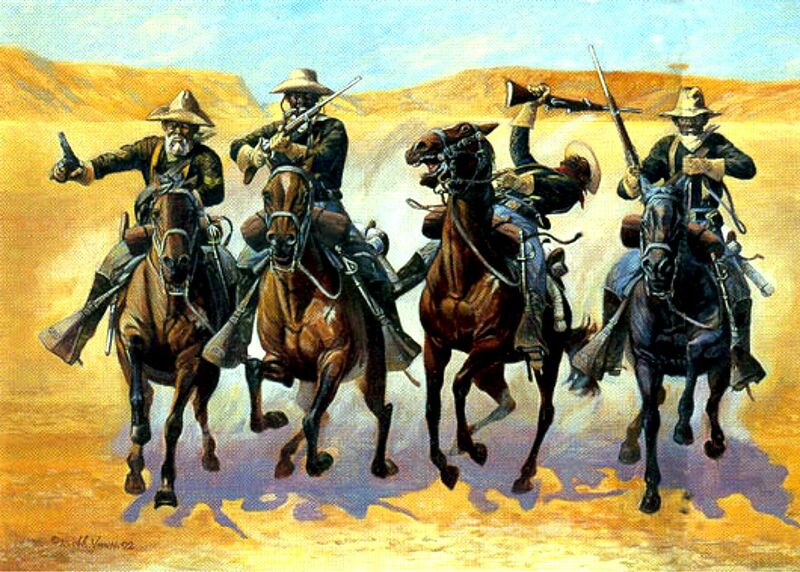 And of course, folklore. Thank you. A great post! The lack of movies is telling. There is some documentary work though. I’m going to put up some excellent photos right away – and some of those photos speak volumes. Thank You Sir. Greatly appreciate your comment and the information. These were proud and brave soldiers who served their Country and deserve the recognition you offer.